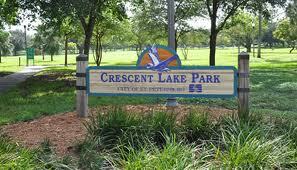 This is beautiful Crescent Lake Park, located just off of 22nd avenue north between 5th and 7th streets and this Saturday, the Park will host the 10th Annual Teen BBQ Book-Off and Community Yard Sale ! We will be participating at the Community Yard Sale as one of the sponsors of the event and you can find us right by the Band Shell Tent on the NE corner of the park. There will be over 100 people setting up in spots along the north parameter of the park, lining the walkways and let me tell you, Bargains are to be had at this event as everyone brings out their yard sale goodies. Proceeds from this event benefits City of St. Pete Teen Programs such as TASCO. There will be live music and lots of great Food and Drink, Inflatable games, Arts and Crafts and Face Painting for the young (and young at heart). Park admission is free and there is a $3 Activity Bracelet that you can purchase for your youngins, for unlimited play on the Inflatables, Arts and Crafts etc. Food tickets are available, for a modest price, and you can have fun sampling the many BBQ stands that will be set up. All around, it's a fun event both for adults and children and the venue couldn't be more beautiful than walking around this large, grassy park with huge a huge lake and unbelievable Banyan Trees. And yes, the weather forecast calls for some rain this weekend but we are optimistic that it will hold off for this worthwhile event. The event runs this Saturday, Sept. 8th, from 8am to 1pm. There is plenty of parking around the park and side streets. Note, on the day of the event, 7th street will be a ONE-WAY traffic going south. and will have Aunt Mary's Birdhouses, and some great plants for your garden and yards. We hope to see you there, come on out, you will have a ton of fun, support a great community event and gets some good Eats and Bargains at the same time!